New OVNIFX Smoothies are here! This batch uses an optical circuit instead of OTA, and we are really happy with the results. The new ones have essentially the same tone and action as the originals, apart from these details: It uses a charge pump to boost the 9V supply to a higher internal voltage, to reduce the chance of clipping, for you players with high-output basses. With the new Opto models you can get a serious dip-and-swell effect at the maximum setting of the Sustain knob. Lower settings get a more natural and unobtrusive action. 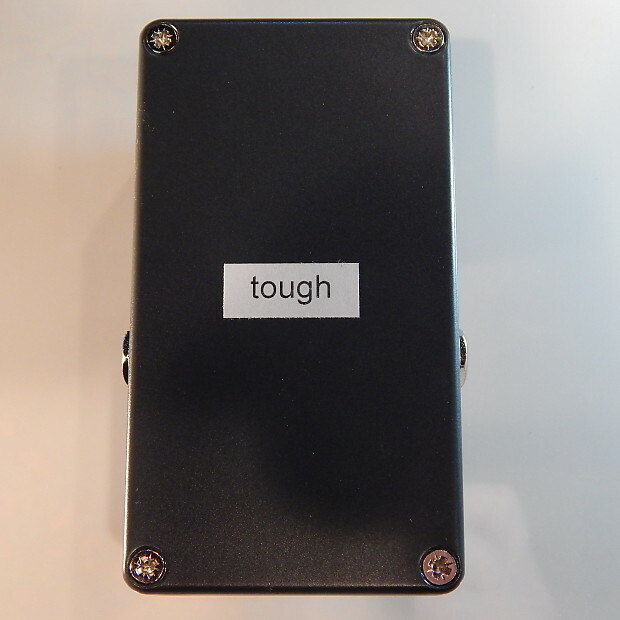 At first we released two versions: "Tough" and "Suave". 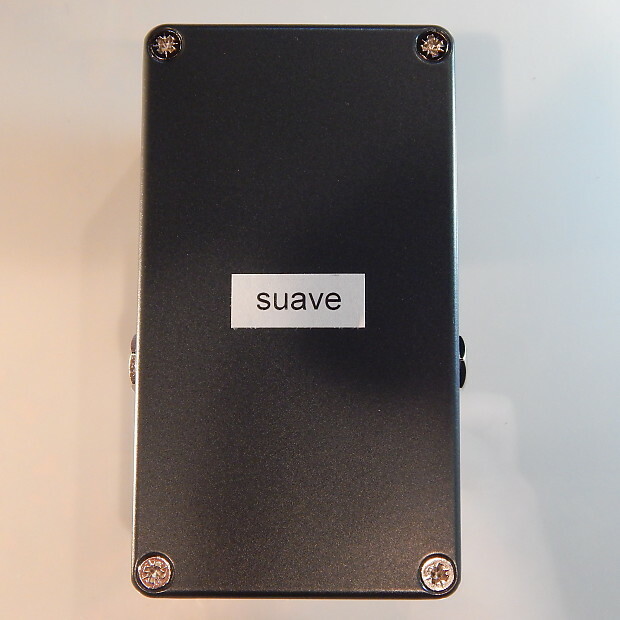 The suave ones soften the compressor's reaction to the initial peaks of your notes, which gives a little more transparent-sounding action and reduces any artifacts. The tough ones respond to your note attack more strongly and quickly, which gives the start of the compression more of a funky character. They are otherwise the same. Guitarists tend to prefer the suave model, bassists tend to prefer the tough ones, but both versions work equally well for both instruments. 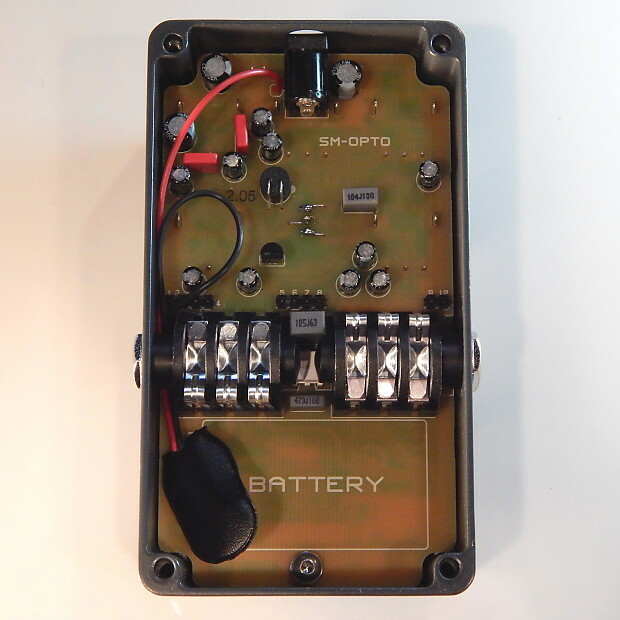 We now have another version, available in a separate listing (new batch will be available in mid December), that include both circuits, selected with internal toggle switches. This listing is for the Suave version only. 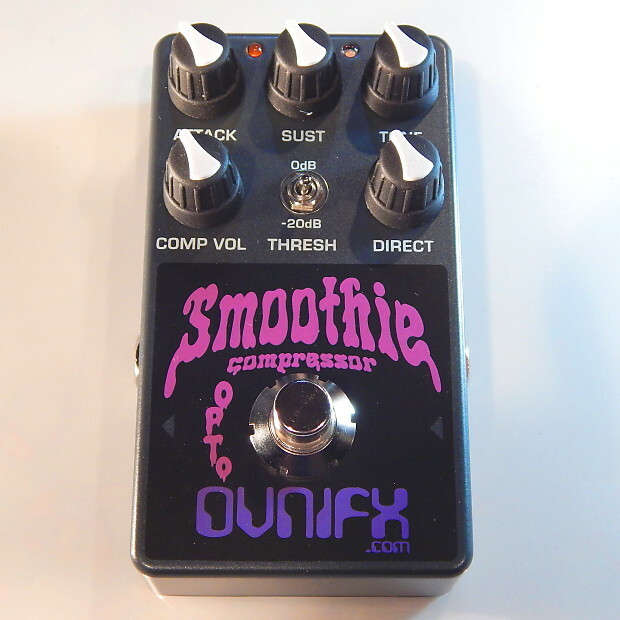 The OVNIFX Smoothie compressor is packed with features such as clean blend, tilting EQ, super low noise, very wide frequency range, and an LED to indicate the amount of compression. Please visit our website, ovnifx dot com, for all the specs. It does not come with any accessories. We offer a "forever" warranty on the Smoothie: if you ever have any trouble with it, contact us and we will do our best to make it right. It's up to our discretion whether that means repair, replacement, or refund. Please watch the brand new demo video, updated Aug 31! We apologize for the high price of international postage. We tried using a less expensive method, and several pedals got lost or significantly delayed. The more costly method (International Priority Mail) has not lost or delayed any pedals for us yet. I generally ship within one business day of receiving payment. I almost always use USPS Priority Mail; it is not the cheapest, but it is the easiest, fastest, and consistently most reliable. The items I sell here are from my personal collection, almost always used, and I can't offer the sort of return policy on those that a store can offer for its inventory. Generally I won't accept returns, unless there is something significantly wrong with the item that is not clearly indicated in the description or the pictures--but really I will have made a sincere effort to clearly describe and depict any flaws already. Please communicate with me early if you have any questions or concerns, especially regarding the condition or description of the item. Thank you!